Typhoon Hagupit made its first landfall in the province of Eastern Samar on 6 December 2014, and then made three other landfalls in the country, claiming the lives of 18 and injuring 916 others. More than four million people were affected by the disaster, with close to two million moved to evacuation centres during the peak of the storm. 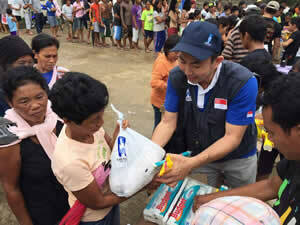 Mercy Relief deployed its relief team to Masbate Province, where a state of calamity was declared just 24 hours after the appeal for assistance was made.